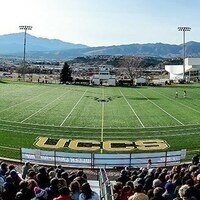 Mountain Lion Stadium is located off of North Nevada Avenue just south of Four Diamonds. The Stadium and Four Diamonds share the same entrance off of North Nevada. 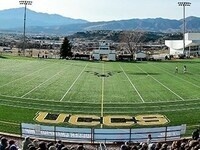 See "Mountain Lion Stadium" on the campus map at www.uccs.edu/map.